It’s well-known that happening young heroine Keerthy Suresh is all set to make her Bollywood debut opposite star hero Ajay Devgn in a biopic on legendary Indian footballer Syed Abdul Rahim. To be helmed by Badhaai Ho director Amit Sharma and produced by Boney Kapoor, the film will go on floors in June. According to the latest reports, the Syed Abdul Rahim biopic will recreate the golden era of Indian football, starting from 1950 to 1963. Both Ajay, who will reprise Syed Abdul Rahim’s role and Keerthy, who will play Syed’s wife, will age according to the time period. 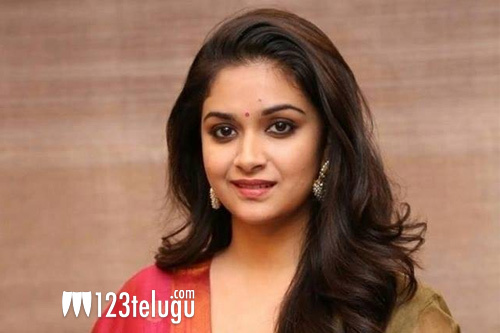 Keerthy will be seen as a woman in her late 30s in the latter half of the film. The biopic’s makers are not using any prosthetics to make Ajay and Keerthy look aged. Instead, the make-up will be quite realistic. Incidentally, this will be the second time that Keerthy will be seen portraying a middle-aged woman on-screen, after the legendary Savithri’s role in Mahanati.